His most successful and arguably most identifiable role was that of Richard Sherman in The Seven Year Itch, a role that he originated in the Broadway stage production (1952–1954) and reprised in the 1955 Hollywood film adaptation. He received a Tony Award for the play and a Golden Globe Award for the film. He appeared in several other light comedies of the 1950s, most notably The Girl Can't Help It (1956), though he preferred the stage. Ewell was born in Owensboro, Kentucky, the son of Martine (née Yewell) and Samuel William Tompkins. His family expected him to follow in their footsteps as lawyers or whiskey and tobacco dealers, but Ewell decided to pursue acting instead. He began acting in summer stock in 1928 with Don Ameche before moving to New York City in 1931. He enrolled in the Actors Studio. He made his Broadway debut in 1934 and his film debut in 1940, and for several years, he played comic supporting roles. His acting career was interrupted during World War II when he served in the United States Navy. After World War II, Ewell attracted attention with a strong performance in the film Adam's Rib (1949), and he began to receive Hollywood roles more frequently. Ewell continued acting in summer stock through the 1940s: He starred opposite June Lockhart in Lawrence Riley's biographical play Kin Hubbard in 1951, the story of one of America's greatest humorists and cartoonists. With this play, he made his debut as a producer. In 1947, he won a Clarence Derwent Award for his portrayal of Fred Taylor in the original Broadway cast of John Loves Mary. 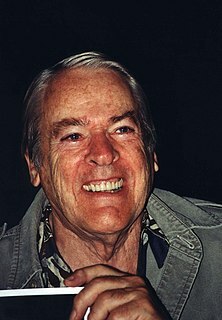 His most successful and, arguably, most identifiable role came in 1952, when he joined the Broadway production of The Seven Year Itch as protagonist Richard Sherman. With Vanessa Brown as "The Girl", Ewell played the part more than 900 times over three years, as he indicated in a mystery guest appearance on What's My Line? to promote the 1955 film adaptation. He earned both the Tony Award for Best Actor in a Play and the Golden Globe Award for Best Actor – Motion Picture Musical or Comedy for portraying Sherman. He enjoyed other film successes, including The Lieutenant Wore Skirts with Sheree North and The Girl Can't Help It (both 1956) opposite Jayne Mansfield. In The Girl Can't Help It, Julie London appears as a mirage to Tom Miller (Ewell) singing her signature song, "Cry Me a River". He played Abel Frake in the 1962 version of the Rodgers and Hammerstein musical State Fair. In 1956, at the Coconut Grove Playhouse, he co-starred with Bert Lahr in the U.S. premiere of Waiting for Godot. However, as his film and theater careers seemed to have reached their peaks, he turned his attention to television. Over several years, he played guest roles in numerous series, and received an Emmy Award nomination for his continuing role in Baretta. In 1982, he co-starred as the drunken town doctor in the short lived comedy Best of the West. His final acting performance was in a 1986 episode of Murder, She Wrote. From September 1960 to May 1961, Ewell starred in his own television series, in the self-titled The Tom Ewell Show, which lasted for one season. In the mid-1970s, Ewell enjoyed popular success with a recurring role as retired veteran policeman Billy Truman in the 1970s Emmy-winning TV series Baretta. Ewell appeared in 36 episodes of the TV-cop series, which starred Robert Blake as Detective Tony Baretta, until its end in 1978. In 1979, he was a guest star on the TV series Taxi. Ewell also co-starred from 1981 to 1982 in the short-lived TV series Best of the West. On March 18, 1946, he married Ann Abbott, daughter of Broadway director George Abbott; the short-lived marriage ended in divorce a year later. Ewell then married Marjorie Sanborn on May 5, 1948; they had a son, Taylor. On September 12, 1994, Tom Ewell died of undisclosed causes, aged 85, at the Motion Picture Country House and Hospital in Woodland Hills, California. His widow, Marjorie, said he had suffered a long series of illnesses. Ewell was also survived by his son, Taylor, and by his 105-year-old mother, Martine Yewell Tompkins (1889–1998), who lived in Curdsville, Kentucky, where she died at age 109. In 2003, Ewell was inducted into the Owensboro High School Hall of Fame. ^ "Tom Ewell". The New York Times. Retrieved 2012-01-19. ^ "Tom Ewell biography". Filmreference.com. Retrieved 2016-09-10. ^ Barnes, Brooks. "Movies – The New York Times". Movies.nytimes.com. Retrieved 2016-09-10. ^ "RootsWeb: Database Index". Ssdi.rootsweb.ancestry.com. Retrieved 2016-09-10. ^ Profile Archived 2004-12-16 at the Wayback Machine, Owensboro Messenger-Enquirer; accessed December 18, 2016. Wikimedia Commons has media related to Tom Ewell. William Gaither "Billy" Crudup is an American actor. He is a four-time Tony Award nominee, winning once for his performance in Tom Stoppard's The Coast of Utopia in 2007. He has starred in numerous high-profile films, including Without Limits, Almost Famous, Big Fish, Mission: Impossible III, Watchmen, Public Enemies, Spotlight, Jackie, The Stanford Prison Experiment, Justice League, and Alien: Covenant, in both lead and supporting roles. He also starred in the Netflix original series Gypsy opposite Naomi Watts. He has been nominated for an Independent Spirit Award for Best Male Lead and a Screen Actors Guild Award. Howard Weston "Ted" Bessell Jr. was an American television actor and director. 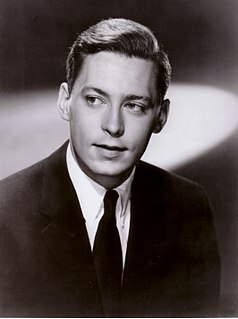 He is best known for his role as Donald Hollinger, the boyfriend and eventual fiancé of Marlo Thomas's character in the TV series That Girl (1966–71). Kevin McCarthy was an American actor who gave over 200 television and film performances. He is best remembered for portraying the male lead in the horror science fiction film Invasion of the Body Snatchers (1956). Perry Firestone King is an American actor. He is best known for his role in the television series Riptide (1984–1986). Robert Lawrence Leonard, better known by his stage name Robert Sean Leonard, is an American actor. He is known for playing Dr. James Wilson in the television series House (2004–2012) and Neil Perry in the film Dead Poets Society. Leonard won a Tony Award for Best Featured Actor in a Play for his performance in The Invention of Love in 2001. His other Broadway credits include Candida, Long Day's Journey Into Night, Breaking the Code, The Speed of Darkness, Philadelphia, Here I Come!, Arcadia, The Music Man, Born Yesterday, and To Kill a Mockingbird. From 2013 to 2014, Leonard had a recurring role as Dr. Roger Kadar on the television series Falling Skies. James Timothy Daly is an American actor and producer. He is known for his role as Joe Hackett on the NBC sitcom Wings and his voice role as Clark Kent/Superman in Superman: The Animated Series, as well as his recurring role as the drug-addicted screenwriter J.T. Dolan on The Sopranos. He starred as Pete Wilder on Private Practice from 2007 to 2012. Since 2014, he has portrayed Henry McCord, husband of the titular character, on the CBS drama Madam Secretary. John Grinham Kerr, was an American actor and lawyer. 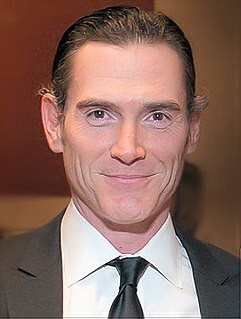 Will Mackenzie is an American television director and actor. Phyllis Avery was an American television and film actress. The Seven Year Itch is a 1952 three-act play written by George Axelrod starring Tom Ewell and Vanessa Brown.